CLEARANCE !!! 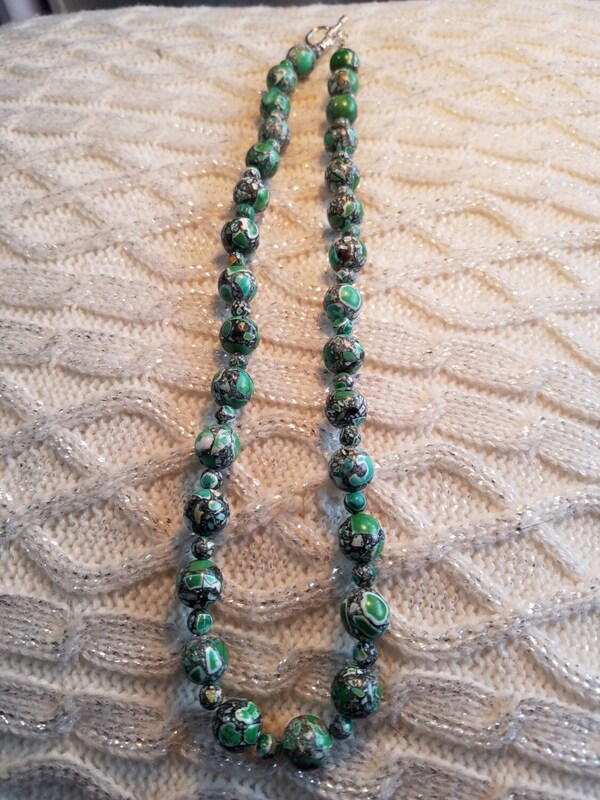 !Green Mosaic Beaded Necklace 22 inches long. 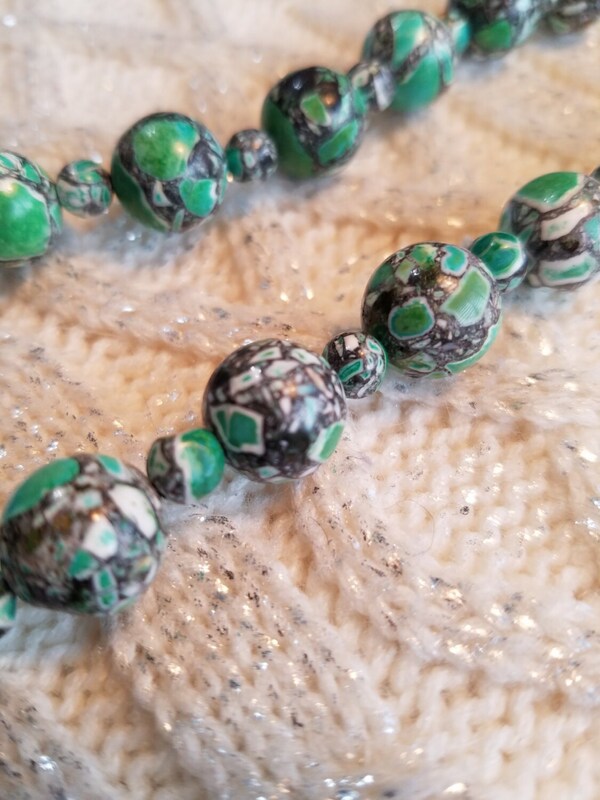 Pretty Round beads , green mosaic . 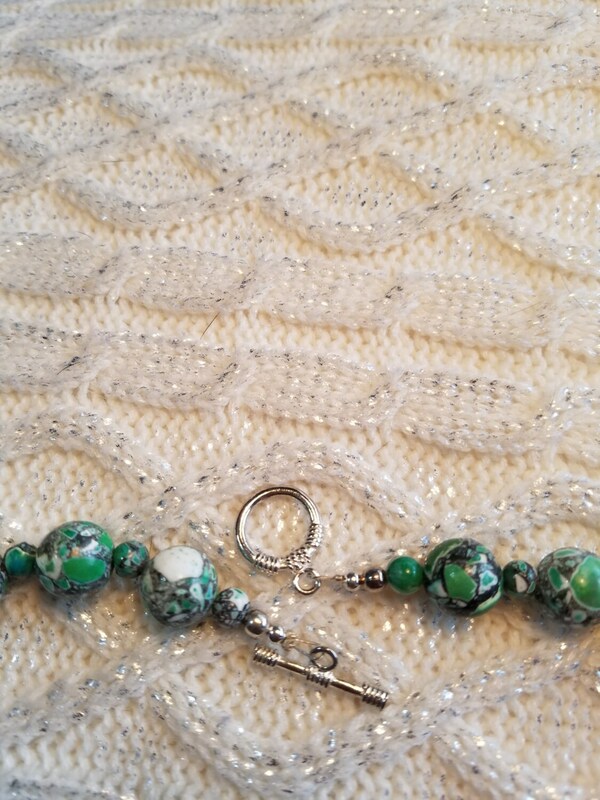 Easy to use clasp. And perfect for any occasion ! 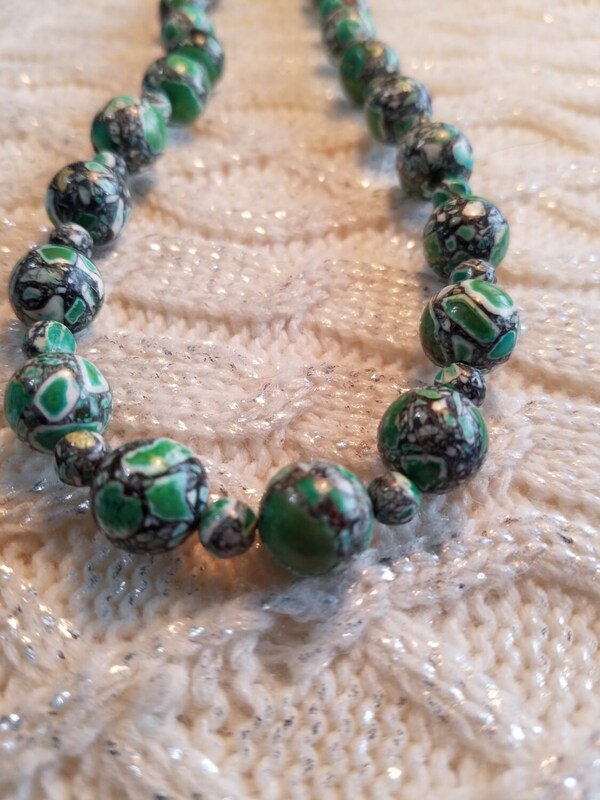 To add color to what ever you are wearing !